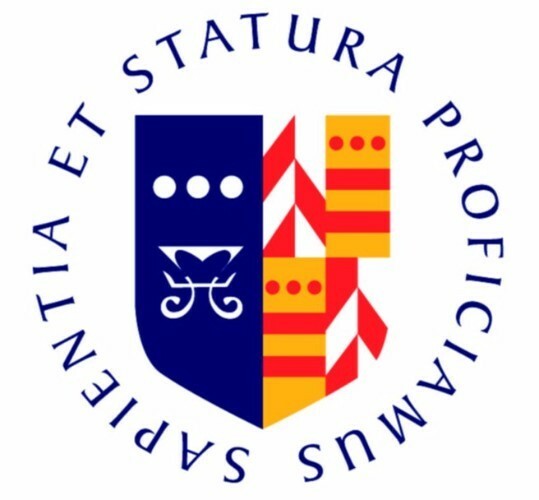 I would like to receive occasional information and updates from Ilkley Grammar School Auction of Promises 2018 and jumblebee. The auction will close at 11pm on Friday 8 June 2018. Thank you to all the wonderful parents, teachers, students and local businesses who have generously donated gifts to this auction and to you for bidding on them! Golden syrup, sugar and oats - who can resist? A large tray of delicious homemade flapjack awaits (16 pieces). 2 tickets to see the Upstagers summer show, Grease. 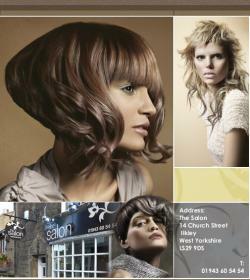 The show is being performed between the 11th and 14th July at The Kings Hall in Ilkley. Face value £32. Grease is a classic musical made famous by the film with John Travolta and Olivia Newton John playing Danny and Sandy who are at the heart of this fabulous story set in 1950’s America. Follow the T-Birds and Pink Ladies as they navigate the trials and tribulations of teenage life at Rydell High School in a show that includes the classic numbers Grease, Summer Nights, Sandy, Hopelessly Devoted to You, Beauty School Dropout and You’re the One That I Want. After last year’s sell out success of Starlight Express, Upstagers return to summer show action with a brilliant cast in this high energy show full of fantastic dance routines and amazing songs. 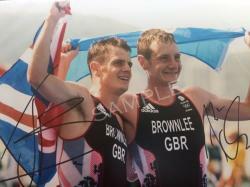 Mounted, framed A4 size photo of Yorshire's Finest, the Brownlee brothers at the Rio Olympics, also signed by the Brownlee brothers. 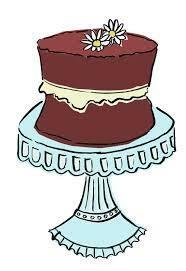 A 8" novelty cake made to your choice of design and flavour, from master cake-maker, Claire Merrett. Follow in the footsteps of Shirley Bassey and Charles Aznavour and enter the gourmet world of The Box Tree. 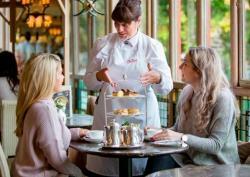 Enjoy the Gourmand 6 course tasting menu at Ilkley's prestigious Michelin starred restaurant. 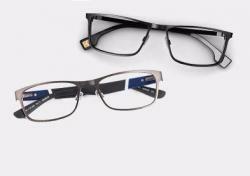 Voucher is valid until 1 January 2019 and has a notional value of £170. 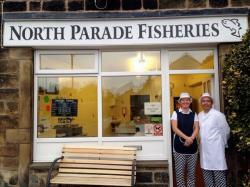 Fish & Chips for a family of 4 from the best chippy in Ilkley - North Parade Fisheries! Learn how to cook the perfect BBQ – a masterclass for up to 4 people. Join award winning competition BBQ cook (and local Ilkley resident! ), Jon Scaife, in an afternoon of BBQ cooking tips and recipes to help anyone who wants to move their BBQ game beyond burgers and sausages. The course would be held at Jon’s home in Ben Rhydding and would start at around 12pm and finish at 6 or 7, finishing with dinner of everything we cooked and a take home meal. It’s a hands-on course with recipes. Jon will show everyone how to set up the BBQs for smoking, baking and grilling. All food and drinks (within reason!!) will be provided by Jon. 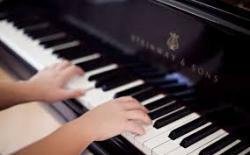 Miss Yates of IGS Music Department has kindly donated 2 lots of 30 minutes of private piano tuition. 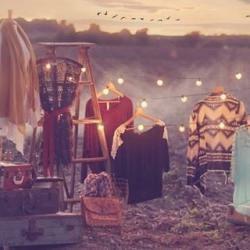 This is lot number one. 10 hours of driving tuition by local driving instructor Alan Cockerham, who is a Grade 6 (the highest) DVSA Approved Driving Instructor with 18 years’ experience. Alan runs his own driving school called Mad About Driving. Face value - £250. 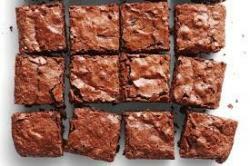 You are bidding on a batch of delicious chocolate brownies - no nuts included. 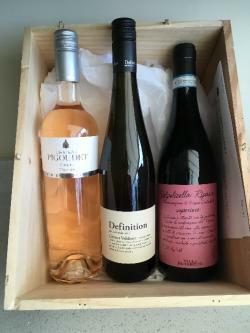 A mixed case of three bottles of wine – one Chateau Pigoudet ‘La Chapelle’ Rose 2016 (Coteaux d’Aix-en-Provence), one Valpolicella Ripasso 2015, (Villa Borghetti), one Definition Gruner Veltliner 2017 (Neiderosterreich). Look sharp! A bespoke shirt to the value of £150 from Norton & Townsend bespoke tailors. The shirt can be produced in a vast selection of fabrics with any combination of collar and cuffs. Meticulous body measurements will be taken in their Ilkley or London workshop along with postural observations to ensure the perfect fit. A vaccination for a dog or cat, worth up to £40 from our friends at Ashlands Vets. 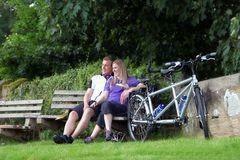 Fed up with cycling fifty yards behind your partner? Why not try a Discover Tandeming day? JD Tandems have kindly donated a day's hire from their shop in Gargrave, North Yorkshire. You will be provided with all the techniques and skills necessary to learn to tandem ride, including instruction on gear changing, effective braking and essential "lingo" for communication between riders. By the end of the day you'll be starting, stopping, and hopping on and off the tandem like the pros! This day normally costs £75 per couple, and the tandem, route guides and a rack pack to carry your personal belongs are all provided. A day's tandem hire usually costs just £75 per couple, and JD's provide the tandem, route guides and a rack pack to carry your personal belongs. 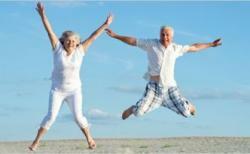 Should you subsequently purchase a tandem from JD's then they will reduce the price of the tandem by £75. 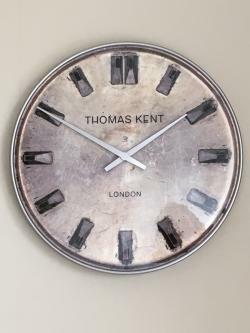 You are bidding on a fabulous Thomas Kent walk clock 'Shilling', in anthracite. The clock is 35cm in diameter and has a recommended retail price of £49. 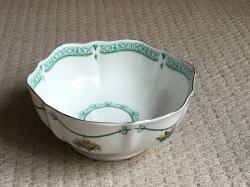 You are bidding on a beautiful fine bone china fruit bowl. 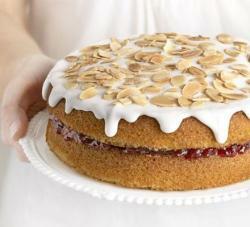 The only thing better than Bakewell tart is ... Cherry Bakewell Cake. You are bidding on a homemade cake, containing almonds. 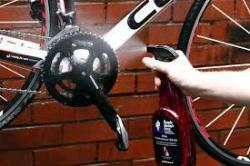 Paul Jones will give your bike a full clean and service. You are bidding on a CACI jowl lift, to the value of £35, kindly donated by Ilkley Beauty Clinc. Using the new CACI Synergy system, the next generation in CACI anti-ageing technology, this treatment will firm and tone the jawline using double lift quad probes specifically developed to target muscles around the jawline. Valid for 6 months from the date of the auction closing. Let someone else take the strain of polishing and hoovering ... a full car valet and polish worth £75. Kindly donated by Ilkley Motor Company (formerly Lessian Motors). 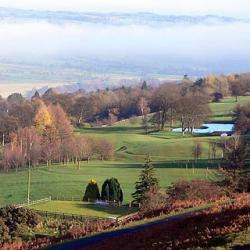 Up to four people can enjoy a round of golf at the Ben Rhydding club course. 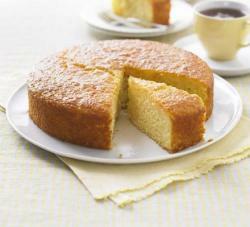 A second chance to bid on a homemade lemon drizzle cake. 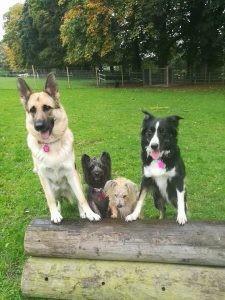 One hour's dog walk for your pooch, courtesy of Outdoor Pawsuits Dog Walking and Pet Services. 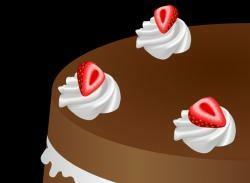 Planning a party or special birthday for a relative or friend? 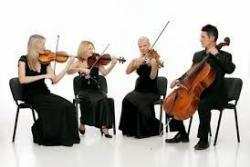 Ilkley Moor String Quartet can entertain you for an informal party or special occasion, locally. 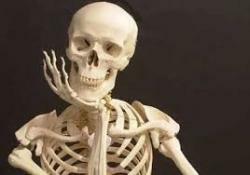 Date to be agreed and is subject to availability. Includes up to one hour of background music (programme can be negotiated ranging from Bach, Haydn, Scott Joplin, Queen or Game of Thrones). Indoors or outdoors weather permitting. Face value £250. 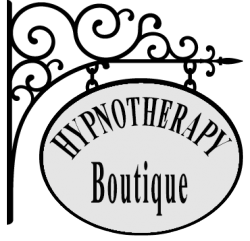 Hypnotherapy session for Relaxation provided by local Clinical Hypnotherapist, Claudia Rickard. Relax, sit back and enjoy a hair cut with Saks' top stylist, Joseph. 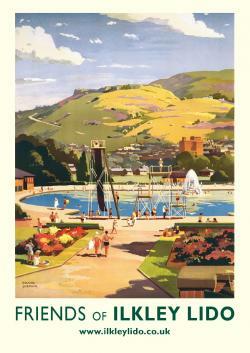 Voucher to the value of £49.50. 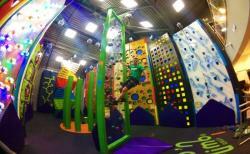 One session for up to four people at ClipnClimb Leeds. Vouchers will be valid for 4 months from the date of closing of the auction. The session includes a 30 minute briefing & harnessing in our designated briefing room and will follow with a 55 minute climbing session. Anyone wanting to challenge themselves on the drop slide will have to pay extra for this at £2.50 a go. 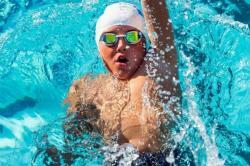 (This cost is due to the extra equipment required and staffing of the drop slide). Ts&Cs apply. ClipnClimb Leeds will be the largest ClipnClimb in the North of England with a staggering 9 meter maximum height climbing. ClipnClimb will also have a 9 meter vertical drop slide for those who think they have a the head for heights and the courage to let go. 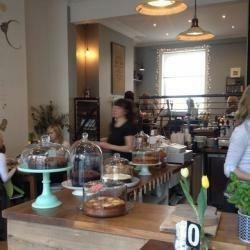 Treat yourself with a £10 voucher to spend at Ginger Plum Cafe on Main Street, Addingham. 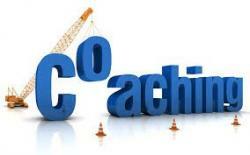 3 hours of business coaching/training or personal life/purpose/happiness coaching, to suit the successful bidder. 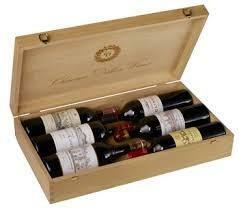 Provided by local business, Xponent4 Ltd. Face value £600. You are bidding on a homemade curry for 4 adults (or a family) to suit your taste buds and delivered to your home. Up to one week of pet feeding in the Ilkley area, in your home. 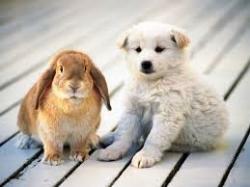 This can be smaller animals such as gerbils or fish, or could be larger animals such as cats. We have experience of guinea pigs, cats and lizards. 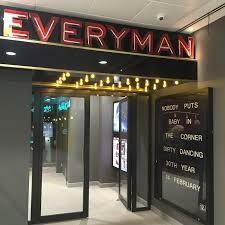 Dates to be mutually agreed. You are bidding on a dinner party delivered to your door. 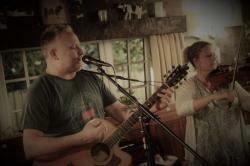 Katie and Jon Rand will provide a starter, main course and pudding for up to 6 people. They will take a brief as to what sort of food you enjoy and ensure your tastes and expectations are met and can cater for all dietary requirements. They will not stay and serve but will give a full briefing as to what needs to go in the oven, and timings etc. Walkies! You are bidding on 1 hour's dog walking, courtesy of Outdoor Pawsuits Dog Walking and Pet Services. 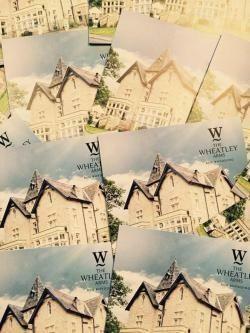 2 course meal for two at The Wheatley Arms, Ben Rhydding, from their A la Carte menu. Face value - £50 approx. Valid until 30th November 2018. An MOT test on any class 4 vehicle, valid for 12 months from the date of the auction ending. A case of wine – 3 x Campo Viejo Rioja 2015, 3 x Jacob’s Creek Chardonnay 2017. 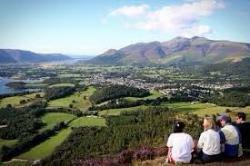 A weekend away in Keswick in the Lake District in a holiday cottage that sleeps up to 8 adults in separate beds or 10 people including children in a family room. 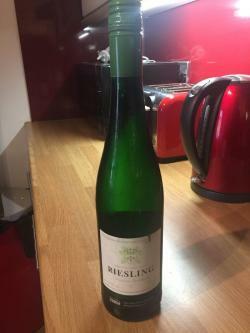 Ideal for a joint bid with friends or another family. 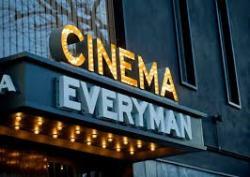 All linen, towels, energy and cleaning included. 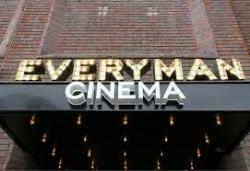 No additional costs to pay. All details can be found at http://www.monahousekeswick.co.uk/ Offer is for a Friday and Saturday night with late checkout on Sunday, or stay Sunday night if you can, on any available weekend, excluding Bank and school holidays. 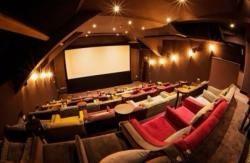 Alternatively for anyone more flexible, a 4 night midweek stay Monday to Friday is also possible. 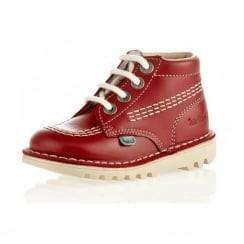 Availability can be seen online. Vaild until end 2019. You are bidding on a sumptuous afternoon tea for four brought to you in your own home, with delicate sandwiches, delicious cakes, pots of tea and of course some fab fizz. Tablet is a secret the Scots usually like to keep North of the border but Ilkley resident, Euan Welsh, has agreed to make a batch of tablet for the winning bidder. Up to two weeks of pet sitting, kindly donated by the Finch family. 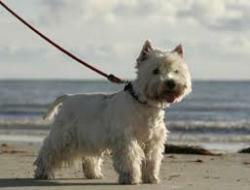 This can be smaller animals such as gerbils, budgie, fish, or could be larger animals such as dogs. Alternatively, pet feeding could be provided at the person’s home. 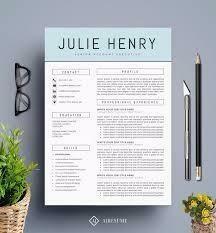 Dates to be mutually agreed and length of time not more than 2 weeks. Additional information - no other pets in household, 3 teenage children, usually someone home, have experience of a number of pets. 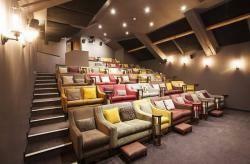 Enjoy a night out at Ilkley's very own Picture Palace with £15 worth of gift vouchers. 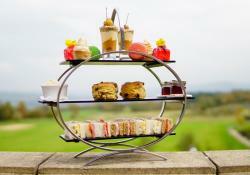 Experience an indulgent Afternoon Tea for two in the elegant surroundings of The Clevedon Restaurant. 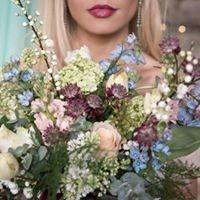 This is usually worth £32 and the voucher is valid until end of September 2018. 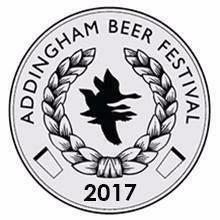 Our friends at Addingham Beer Festival are kindly offering 6 tickets to the 2018 Saturday afternoon session of the Addingham Beer Festival to be held on Saturday 6 October from 1pm. Face value of £30. 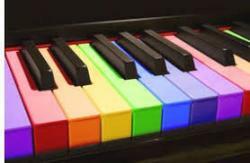 Miss Yates of IGS Music Department has kindly donated two lots of 30 minutes of private piano tuition (but not on a multicoloured keyboard). This is lot number two. 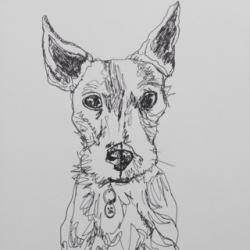 You are bidding on an original A4 pen and ink pet portrait of your pet. The successful bidder would need to provide a photo of the relevant pet! 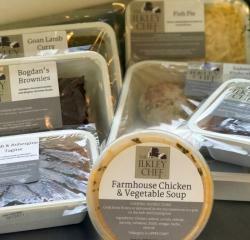 The Ilkley Chef (TheIlkleyChef.co.uk) will deliver a two course supper for 4 people to your home. Worth £24.95. 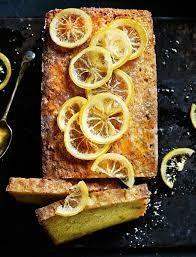 A delicious homemade lemon drizzle cake. 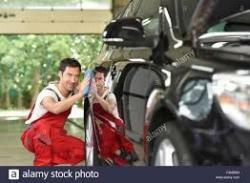 Paintless dent removal will remove small dents and dings from a car's paintwork depending on the severity of the dents. Worth £75. 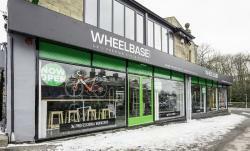 Kindly donated by Ilkley Motor Company (formerly Lessian Motors). 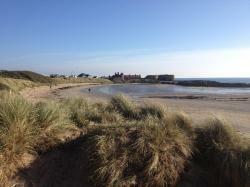 You are bidding on the use of a holiday cottage in Beadnell, Northumberland for a 2 night (Fri & Sat) weekend. Cottage sleeps 6 people in 3 bedrooms. 200 yards from a beautiful beach. Dates depend on availability. You will need to take own bed linen and towels and leave cottage as found, so clean on departure. A homemade chocolate cake. What's not to like? Show your lawn some love with a lawn care treatment(s) to the value of £50 by lawn care experts, Lawnforce Ilkley. 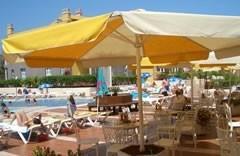 Use of a holiday flat in Filey for a 2 night (Fri & Sat) weekend. Flat sleeps 8 people in 4 bedrooms. Within walking distance of the beach. Dates depend on availability. Term time only. You will need to take own bed linen and towels and leave cottage as found, so clean on departure. 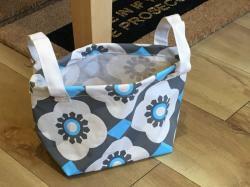 Gorgeous fabric storage tote, kindly donated by Nora’s Interiors & Gifts, Ilkley. 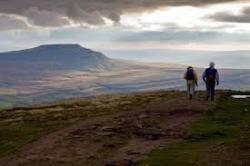 An all day guided walk by Paul Redding for a family group or a group of adults (maximum 6 people) up one of Yorkshire’s best known mountains. Learn about invasions, spells, spies, tropical seas and a rhinoceros whilst walking through some of the best Yorkshire scenery. Paul will provide full route maps and advice on what to bring. 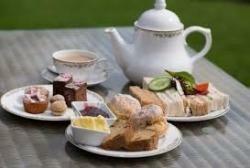 You will need to provide your own transport/food/walking gear but we will round off the day at a cafe/pub! Paul is a qualified mountain leader and is wilderness first aid trained so you will be in good hands! Fancy a lovely line drawing of your very own significant other? Then you need to get bidding. 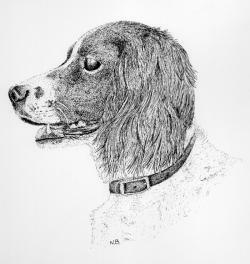 Local artist, Gillian Gilroy will do a line drawing of the winner's pet. The picture above is a drawing Gillian did earlier...usual price is £30. One voucher for up to four main courses (including pizza) in the Woodpeckers diner at ClipnClimb Leeds - worth about £35.00. Get your garden into shape with a 2 hour garden design consultation for professional advice on garden design or planting, supplied by Helen Taylor Landscape and Garden Design Ltd. Helen is a registered Member of the Society of Garden Designers, specialising in designing private gardens. 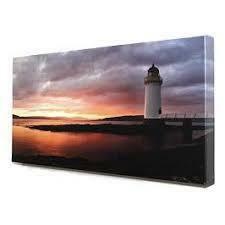 An 18’ x 24’ canvas print, kindly donated by Dotty Print, Ilkley. Face value £30. You are bidding on a weekend in 2 bedroomed Scarborough flat on a mutually convenient date. The flat is situated on Scarborough’s residential South Cliff, within walking distance of the beach, train station and town centre. It can sleep six comfortably and eight as a maximum with the use of air beds. One well-behaved dog welcome. You will need to take own bed linen and towels and leave cottage as found, so clean on departure. 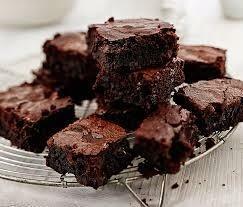 A tray of delicious brownies, kindly donated by Truly Scrummy, a local Ilkley business. 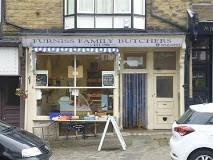 Get yourself some quality Yorkshire meat with a £10 voucher to spend at Furniss Butchers, Ben Rhydding. The owner will collect the winner at the school (or locally) and take them for a 25 minute passenger ride in and around the Ilkley area. NB: Access into the car is restrictive so this won’t be suitable for anyone with restrictive movement. It is also extremely load and uncomfortable (but I’d argue that is why this experience is so worthwhile). The journey would NOT exceed any road laws or speed limits as this has to be enjoyable and not frightening… A date would have to be agreed to suit my schedule and the weather conditions (as this can be very flighty on wet roads). 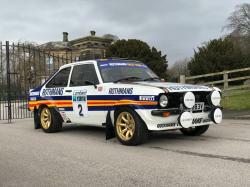 This vehicle is of historic importance and represents one of the most iconic rally cars of that era…. It’s a great opportunity for anyone with an interest in classic competition and sports cars. 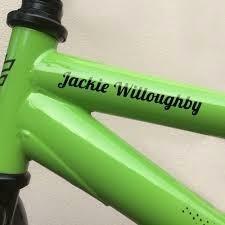 Make your bike stand out from the crowd as it's leaning outside Costa, with a personalised bike frame sticker for your top tube, in a font and colour of your choice. 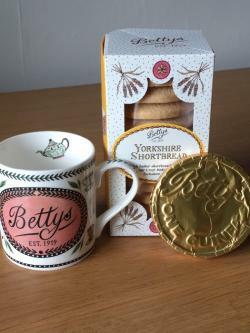 A mug, Yorkshire shortbread and a chocolate guinea from Bettys. Walk in the footsteps of Charles Darwin. A walking tour of Ilkley as experienced by Charles Darwin on his visit in autumn 1859. Your tour guides will be Mike Dixon and Greg Radick, authors of DARWIN IN ILKLEY (2009). Circa 1 hour, ending at Greg's house for some Ilkley Pudding, made according to Darwin's wife's recipe, and accompanied by a wine supplied by Mike (who knows wine as well as Darwin). For up to 6 people.